99 Cent Escape, Volume 4 Bonus! 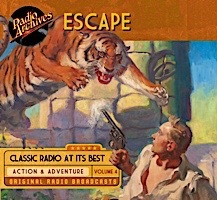 The brand new Escape, Volume 4 radio set is only 99 cents through October 8th, when you place any order for $25 or more. * Now add Escape, Volume 4 to your shopping cart as well. 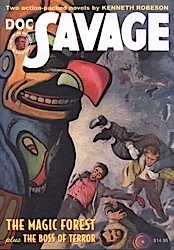 While stories of mystery and crime were the bailiwick of Suspense, Escape concentrated more on tales of high adventure — war, westerns, supernatural horror and science-fiction. Esteemed authors like Rudyard Kipling, F. Scott Fitzgerald, Arthur Conan Doyle, H.G. 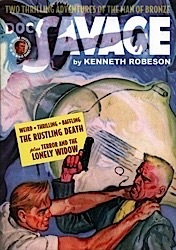 Wells, and Joseph Conrad provided much of the source material for the program, setting Escape apart from most of the other dramatic anthologies on the air at the time. Escape benefited from an ensemble cast which included actor William Conrad – who lent his voice to 90 episodes in this gem of a series from Radio’s Golden Age. Following a distant second, actor Ben Wright lent his voice to a mere 56 episodes. Trailing in third place for the most performances on Escape, actor Harry Bartell voiced a variety of characters in 55 episodes, while John Dehner lent his voice to 54 episodes. Known as being the voice of Escape, actor William Conrad once estimated that he portrayed more than 7,500 roles during his long career as a voice actor during Radio’s Golden Age. Conrad was not an idle boaster. He lent his distinct voice as a supporting cast member to such shows as The Man Called X, Favorite Story, The Voyage of the Scarlet Queen, The Green Lama, Nightbeat, and even Escape’s sister show, Romance. He also voiced Sheriff Matt Dillon in Gunsmoke. Conrad appeared in a record 90 episodes of Escape. Escape featured one of radio's most memorable openings, with either William Conrad or Paul Frees intoning: "Tired of the everyday grind? 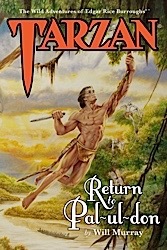 Ever dream of a life of romantic adventure? Want to get away from it all? We offer you...ESCAPE!" The orchestra would then strike up Mussorgsky's "Night on Bald Mountain" and, within seconds, the listener would be transported to a Caribbean jungle or to an icy glacier, effectively putting them in the shoes of that episode's protagonist. The mad Emperor, warrior descendant of the ravagers of Asia, unleashed a new, horrible, ingenious weapon against the American people. While slant-eyed Mongols bent over a powerful death-machine, a thousand miles away, the air became unbreathable! Men and women and children — all living things — gasped for life-giving oxygen, and with searing, heaving lungs, fell strangled by the mysterious, deadly element. Against these demoniacal hordes, one man alone — Operator #5 — struggles while red revolt and destruction blasts America! 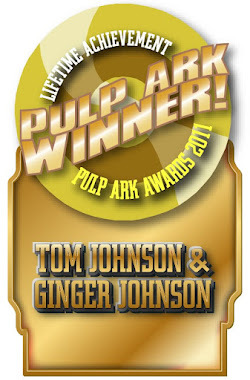 Jimmy Christopher was the star of the most audacious pulp magazine ever conceived. Jimmy belonged to the clean-cut, square-jaw, clear-eyed breed of hero made popular by the F. B. I. back in those grim days. He carried a Colt automatic and wore a flexible rapier concealed in the hollow of his leather belt. A gold skull ornament dangled from a vest-pocket watch chain. It contained a fast-acting poison in case of capture by enemy agents. Jimmy Christopher played a very dangerous game, of which he was a past master. The Green Death Mists is read with stirring intensity by Milton Bagby. Originally published in the November, 1934 issue of Operator #5 magazine. The last 210 OTR LPs have been cut in price another $5 today. Prices as low as $5 for a group of 5 LPs this week. We are selling a collection of 689 OTR 12" LP Vinyl Records of which 469 LPs are now sold. Each group contains 5 LPs with the exception of Group #80 which has the 17 LP boxed set of Shadow radio shows. We started the pricing at $50 per group or $10 per record. The price has been lowered by $5 or $1 per record every newsletter. There are now groups selling for $20, $15, $10 and $5. Buy them before they are gone! Just a quick note to say the website looks amazing and very professional! Keep up the great work! 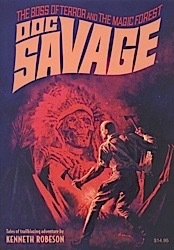 I woke up this morning to find a spiffy looking box containing the Doc Savage Radio Programs sitting on my doorstep. That's fast service! I've already listened to the first two episodes over breakfast and I couldn't be happier. 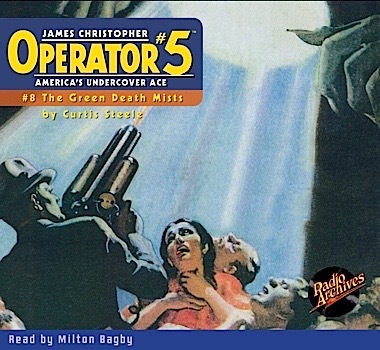 I am so glad I've discovered Radio Archives and I plan to order many more radio programs, audiobooks and pulp novels in the months...and YEARS...to come. Thanks again. You've made my day! Here are some of my books for sale. Most are out of print. If you don’t have these, you better grab them before they’re gone. There’s some nice stuff here, several anthologies with great writers. What are you waiting for? The Man From A.P.E. 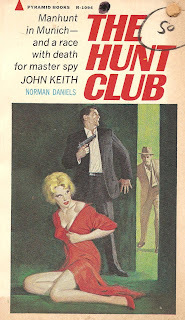 #2: “The Hunt Club” by Norman A. Daniels. When a Russian general decides to leave the Soviet Union; he takes a briefcase full of defense plans with him to use as blackmail against the Russians making them leave him alone. He does not intend giving them to the West. However, the KGB, the Chinese, and the Munich police pursue him. John Keith gains the trust of the general's ballerina daughter who everyone expects the general to contact. This is another good spy action adventure with John Keith, The Man From A.P.E. A good read. Labels: Norman Daniels, The Man From A.P.E. 99 Cent The New Roy Rogers Show, Volume 3 Bonus! 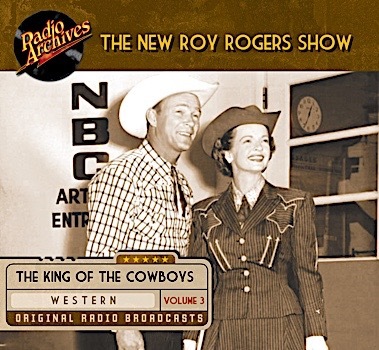 The brand new The New Roy Rogers Show, Volume 3 radio set is only 99 cents through September 24th, when you place any order for $25 or more. * Now add The New Roy Rogers Show,, Volume 3 to your shopping cart as well. A cowboy singer and actor, Roy Rogers was one of the most popular Western stars of the twentieth century. Appearing in over one hundred films beginning in 1935, as well as numerous television and radio appearances, he became known as the “King of the Cowboys”. A glamorized version of the archetypal cowboy, he was the embodiment of the all-American hero to many. Living on a farm with no radio, Roy’s family had to make their own entertainment when he grew up. On Saturday nights, they treated neighbors to square dances at which Roy would sing, play mandolin and call the dances. He also learned to yodel. Roy was often joined by his wife, Dale Evans, known as “the Queen of the West”, whom he met on the set of The Cowboy and the Senorita, in his productions, as well as his regular co-stars, his famous golden palomino Trigger, which was known for his ability to do tricks. Roy Rogers’ radio show ran for nine years before moving to television in 1951. Originally having a western music and variety format, the show later introduced storylines involving outlaws, tall tales or cliffhangers involving a deed to a ranch, but no matter what the story, there was always time for a light-hearted song or two. The Roy Rogers Show, sponsored over the years by Post Cereals, Goodyear Tires, Quaker Oats, Dodge-Plymouth and others was transcribed as Roy's contractual obligations precluded him from performing live. Roy, put a clause into his 1940 contract with Republic Pictures that gave him the right to his likeness, voice and name for merchandising. This opened the door for Roy Rogers action figures, novels, play-sets, a comic strip, a long-running Dell comic book series, lunch-boxes, folding knifes, cookie jars, cap guns, watches, and much more. Eventually, Roy Rogers was second only to Walt Disney in the amount of items featuring his name. 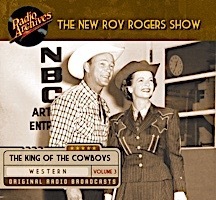 Listen to fourteen more shows of The Roy Rogers Show, Volume 3 in Sparkling Audio Quality. Thousands of busy persons bent over their desks in the tallest building in the world — conducting the commerce of the nation — when suddenly the steel girders began to creak and twist, and the gigantic edifice swayed giddily in the rising wind. Never before had criminal brains devised a more cunning or a more horrible weapon to garner their ill-gotten treasures. And never before was the Spider so strenuously put to test — for the Master, the man behind the devastation and death, eluded every suspicion, foresaw every contingency, left no tell-tale clues behind him as he ravaged, slayed and pillaged... Richard Wentworth, working for once hand in hand with the organized forces of law and order, fights the grimmest battle of his long career. 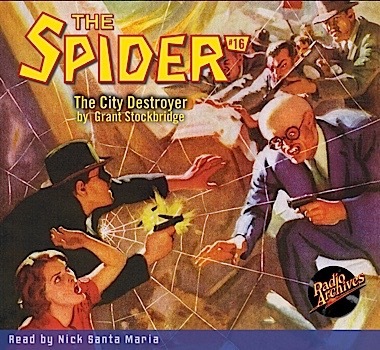 Can the Spider avenge the countless dead who have already fallen? 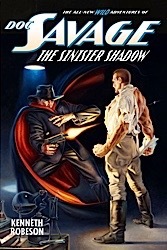 Can he bring the Murder Master to the justice he so richly deserves? 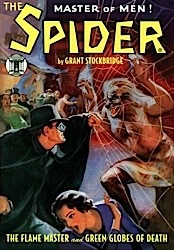 Norvell W. Page, described him this way: For Richard Wentworth was a nemesis of the night, a swift and secret avenger who meted out lethal justice to those of the Underworld who dared to raise their hand against humanity; he was the man known throughout half the civilized world as the Spider, and tonight he wore the disguise that would instantly identify him as that dread killer. 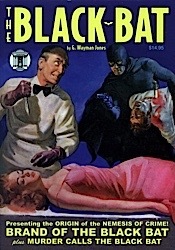 A long, black cape covered twisted shoulders. 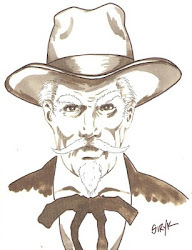 A broad-brimmed hat tightly pulled down over a lank wig shadowed a beak-nosed face. The eyes that glittered there were steely with bitter hatred. 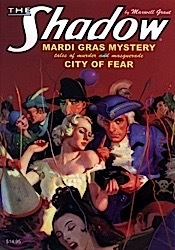 Nick Santa Maria reads this exciting suspense story of murder, mayhem and mystery that perfectly evokes 1935 Manhattan. The City Destroyer, originally published in The Spider magazine, January, 1935. 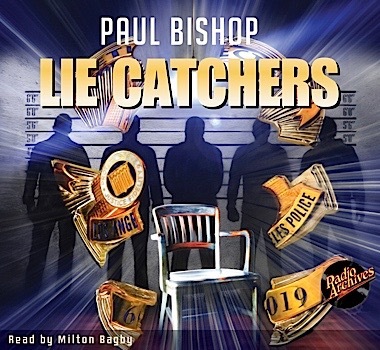 Watch the Lie Catchers book trailer Video by clicking here. The last 235 OTR LPs have been cut in price another $5 today. Prices as low as $10 for a group of 5 LPs this week. Radio Archives is selling off a collection of 689 OTR 12" LP Vinyl Records. These are being sold in groups of 5 records per group. The main exception is Group #80 which has the 17 LP boxed set of Shadow radio shows. Plays on any standard record player. We started the pricing at $50 per group, which is $10 per record. Every two weeks the price of all unsold groups has been lowered by $5 or $1 per record. There are now groups selling for $25, $20, $15 and $10. Wait for the price to drop but don't wait too long and let someone else buy your favorite Old Time Radio LPs. I just wanted to thank you for the excellent customer service, and even more for the great conversation. You've made me feel like I've not only discovered a great place to shop, but also found a new friend. Looking forward to receiving my order and also to talking with you again. Many thanks for the helpful info about The Shadow of Fu Manchu radio set. I have downloaded this and I am amazed at the difference in sound quality. You have certainly worked a miracle with this one -- many thanks again.